Weimar Cities explores Germany's efforts to come to grips with its great cities after World War I; by extension the book measures the feasibility of the postwar experiment that was the Weimar Republic. The book focuses particularly on the weakness, both local and national, that resulted from the disjunct between the cities’ perceived and actual power. 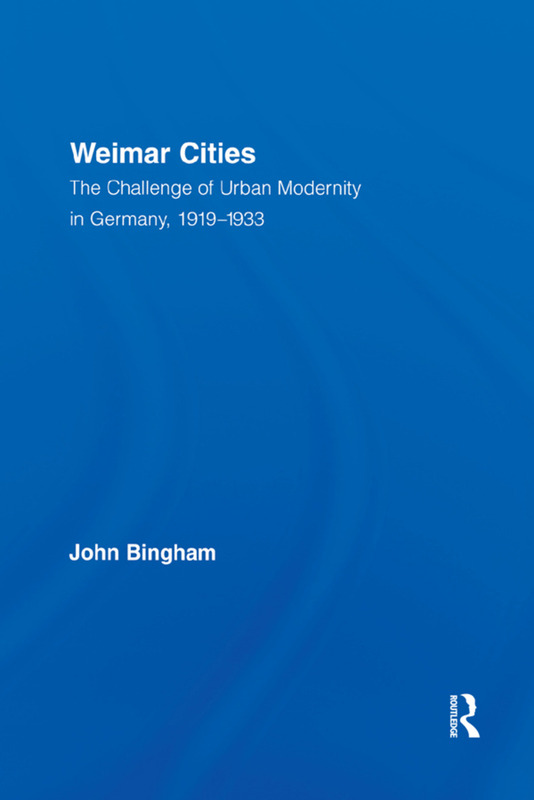 Weimar Cities explores Germans’ efforts after the First World War to come to grips with their great cities and, by extension, measures the feasibility of the postwar experiment that was the Weimar Republic.